Humpday message US Tennis Open Version. Ok, tennis is my new drug but this is not about me—it’s about you! The US Open is going on right now and I am totally bummed about the lack of US men who can challenge for the title, but on the women’s side, the good ole’ USA has hope. We have the Williams sisters and a handful of young upstarts like Coco Vandeweghe, Bethanie Mattek-Sands, and Madison Keys to name a few. 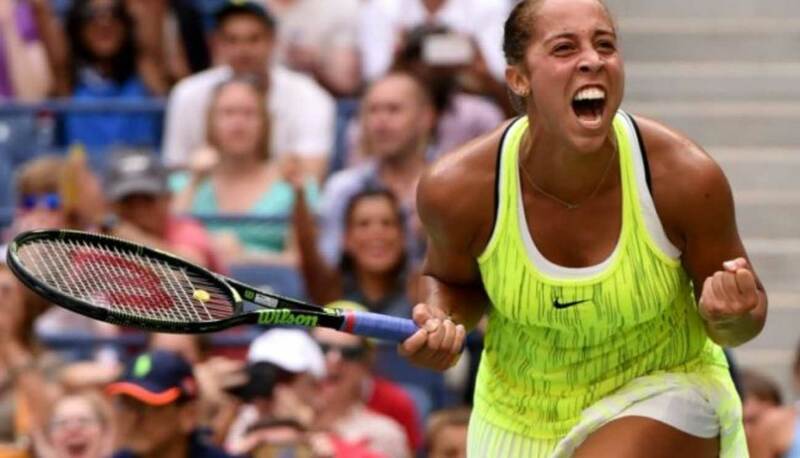 This story involves Madison Keys as last week she was in a tough spot. Tennis scoring has always been goofy, so let me break it down how bad it was for Madison. The women play the best of three sets and Madison and her opponent, Naomi Osaka, each won a set going into the third and deciding set. So for those keeping score at home, it’s 1-1 and then next match determines who moves on and who goes home. In tennis, the first person to win 6 games usually wins the set. There are tiebreaker rules, etc., but for simplicity the first to six wins. In the third set, Madison is down 1-5, and it’s not looking good for the home team. If Osaka wins one more game the tournament is done for Madison and she packs her bags. Now do you ever feel like LIFE has you down 1-5 and the first one to six wins? LIFE is kicking your tail from one side of the court to the next and the tennis balls just keep coming! Well, take heart. Madison did not give up!! In fact, she played each point like it was her last and slowly clawed her way back into contention and eventually won the set and advanced. Bottom Line: Never give up! “From being down the whole time, I knew I could come back,” Keys said. Now whatever you are facing know this—you CAN come back. You really can. Most times it takes longer than we all would like, BUT you can come back. Just play each point like it’s your last and point by point, game by game, set by set, match by match, day by day, and you will come back. You will come back and never give up.